Regardless of species, even the most well-mannered pets have a bad habit or two. However, while it’s true that many bad behaviors in pets are due to natural instincts that are virtually impossible to break, you may not be as helpless as you may think. Jumping on kitchen counters happens to be one of the most common complaints made by people who share their home with cats. Tons of cat owners will tell you that keeping their cat off the kitchen counter is absolutely impossible. For most, this simply amounts to a lifetime of shooing the cat away when he or she jumps up. It’s something that is so common that most cat owners don’t even think about it anymore. The habit can be attributed to a number of reasons. Namely, cats are built for jumping and climbing. Specifically for indoor cats, this satisfies an innate need. The counter is also, quite obviously, where delicious treats and scraps of human food may be found. Finally, it brings your cat to eye level. Have you noticed more of this behavior when your cat is feeling particularly social? The head butts, extra purring, and outpouring of affection – you’re not imagining that. Offer suitable climbing surfaces – A cat tree or wall-mount cat shelves may be the answer. As we mentioned, your cat loves to slink around the house, jumping from the floor to the counter to the top of the fridge. Provide a suitable alternative, instead. Never store treats on the countertop – We totally agree: those countertop cookie jars with the paws all over them are adorable. However, every time your cat sees you pull a treat from that jar, it reinforces the (mis)understanding that the countertop was make for strutting around on. Store them in a pantry or lower level cabinet, instead. Better yet, store them away from the kitchen entirely. Clean countertops thoroughly after meal preparation – This goes along the same lines as the previous point. Food left on the countertop makes it even more inviting for your feline friend. After preparing meals, be sure to wipe counters down thoroughly and stash any leftovers right away. It’s also worth mentioning that many of the ingredients that you use in your own meals are unsafe for your pets, and the same can be said for most kitchen cleaners. So, generally speaking, your cat’s tendency to hang out on your counters in not a good idea for his health OR yours. Like any unwanted behavior, it’s best to start discouraging this when they’re still tiny, but it’s never too late. Give it a shot! This entry was posted in All Posts, Blog. Bookmark the permalink. My Pet’s Animal Hospital is Lakeland, Florida based full-service, AAHA accredited veterinary hospital, who services small animals. May we contact you with any concerns? Please rate our reception area on a scale of 1 to 5. While you were there how was the reception area? Check all that apply. Are the office hours convenient for you? Was your call answered promptly? Where you kept on hold for longer than 2 minutes? Was the receptionist polite and friendly? On a scale from 1 to 5 please rate the receptionist. Please tell any other comments or concerns about reception. On a scale of 1 to 5 how would you rate our boarding facility? Were you able to make the reservations that you needed? Was your pet returned to you clean, happy and free of parasites? Let us know any other comments, concerns or changes we can make to our boarding service. Was there an employee that went above and beyond to make your visit to MyPet's more enjoyable? 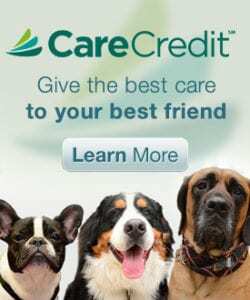 Would you refer us to your friends and family for their pet care? Are there any services we could provide to make you and your pet's day better? Were you able to get a grooming appointment when you needed it? Was your pet groomed the way you had requested? Was your grooming completed when anticipated? Were you called after the grooming was completed to schedule a pickup time? On a scale of 1 to 5 how would you rate our grooming services? Any other comments or concerns about our grooming services? In the exam room was the assistant polite and friendly? Was the exam assistant helpful and knowledgable? Did the exam assistant follow through with your requests? On a scale of 1 to 5 how would you rate the exam room assistant overall? Tell us any other comments or concerns about your exam experience. Was your doctor polite and friendly? Did your doctor discuss any problems or concerns with you? Did your doctor spend enough time answering your questions? Let us know any other comments or concerns about your doctor. * What time will your pet be picked up? * What is your pet's regular diet? Do you plan to bring your pet's food? What medications do you give your pet and at what times? What additional services would you like done before your pet leaves? Are there any other concerns or issues that you would like the doctor to evaluate? If we are seeing more than one pet please list them below. I would like more information on the following.